Do you ever have something catch your eye - a wallpaper, a colour pairing, a certain piece of furniture - and it intrigues you and you lock it away in your brain and you say "someday, I'll use you in my own home"? And then all of a sudden you start seeing that thing you thought was unique and appealing only to you everywhere and you feel it might be over and too trendy before you even had a chance to really love it? That's how I'm feeling about gingham. It's a classic pattern that never really goes in or out of style but lately it's everywhere. 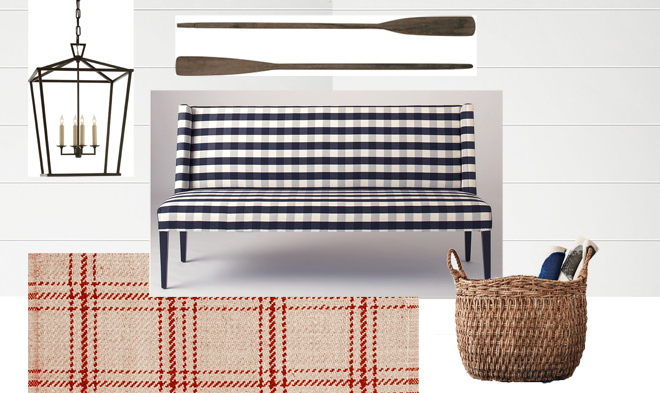 Here's a few of my favourite gingham looks. Holly featured this mudroom on her blog years ago and I still remember it. I think the scale of the pattern works for the room - not too big, not too small, just right. 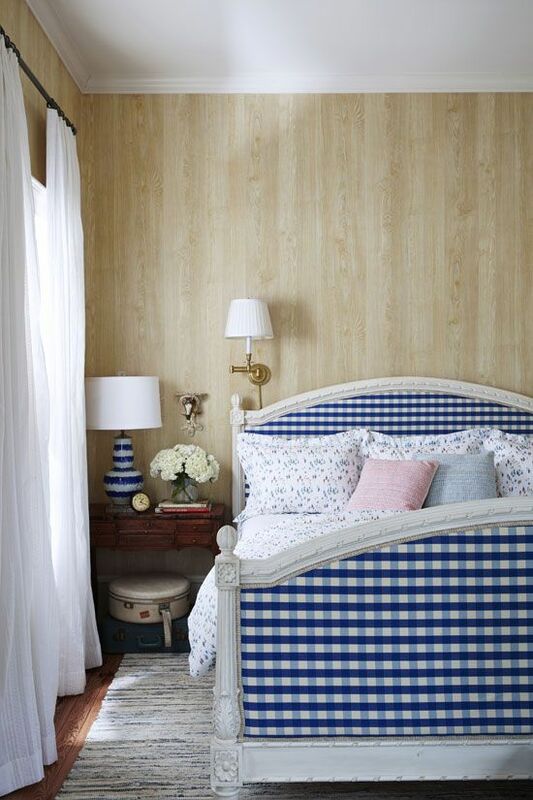 The wainscotting helps keep the pattern from feel overwhelming. 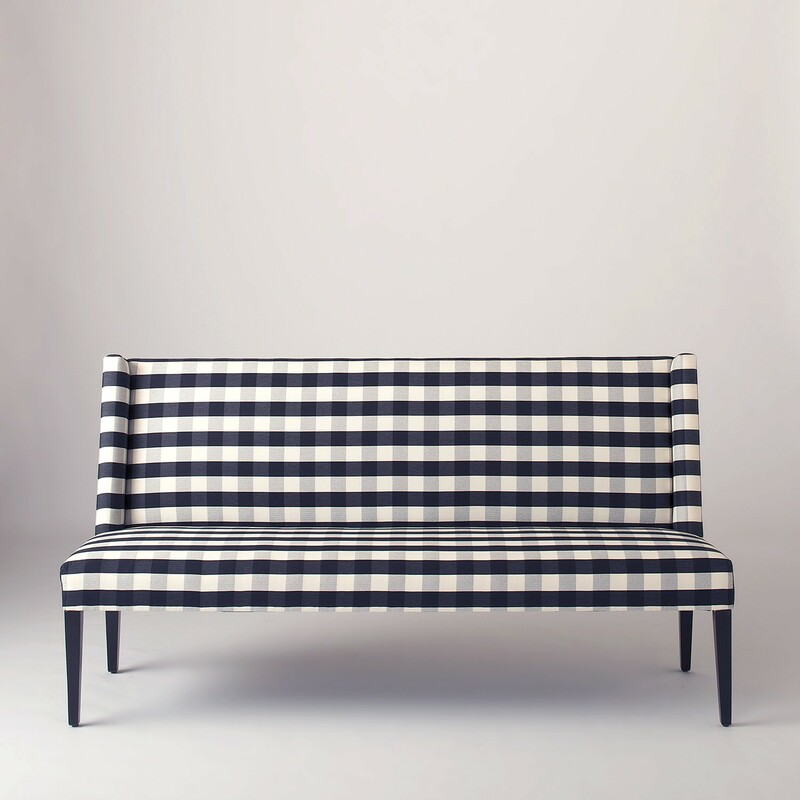 Bailey recently used gingham in her country home. She is always so good at mixing patterns (it looks perfect with the small florals and the stripes) and I love how it looks against the pale wood walls. 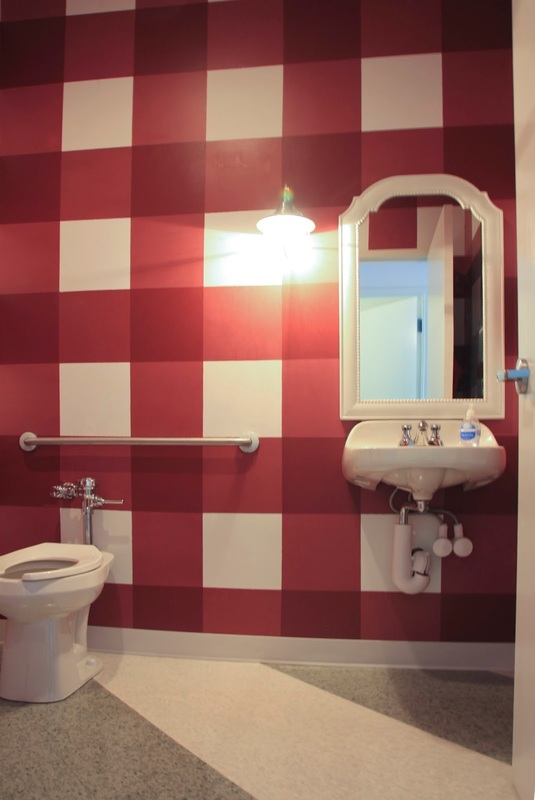 Stephanie used this oversell gingham treatment in a coffee shop bathroom years ago. It's still one of my favourites! That settles it - I need a country house I can put gingham in!